When aqueous acid is added to epoxide, trans-diol are formed. When epoxides react with aqueous acids (often abbreviated H3O+) a three-membered ring will open and trans-diols will be formed. 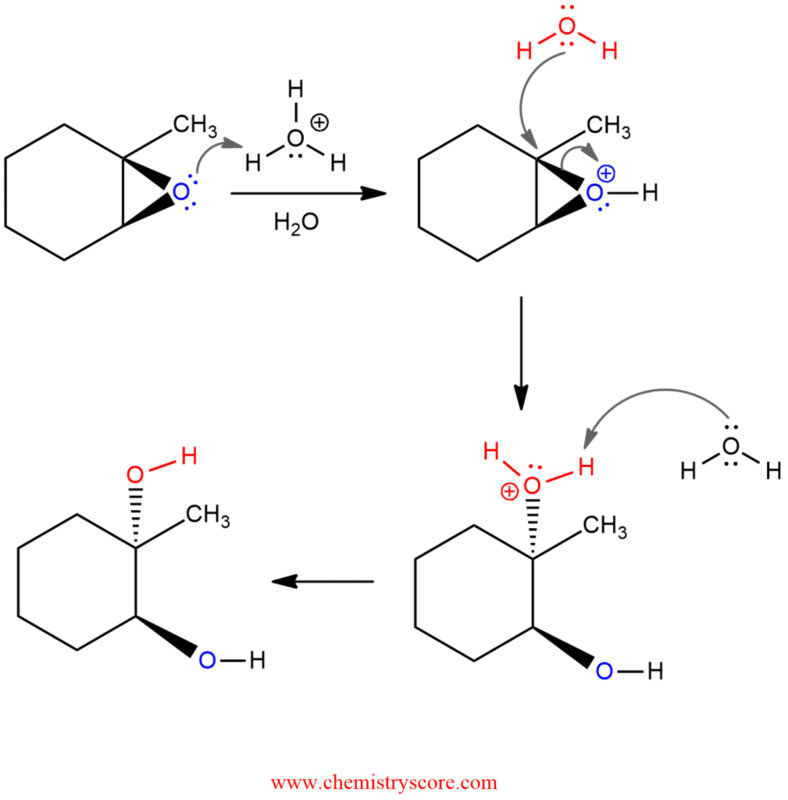 This reaction consists of three steps. In the first step, the nucleophile attacks at the more substituted position of the epoxide. This will function as a much better leaving group than does the unprotonated epoxide. In the second step, the nucleophile (in this case water) attacks protonated epoxide at the most substituted positions. Here always come to inversion of configuration which must be performing a back-side attack at this carbon (SN2 reaction). Further deprotonation in the third step, gives a neutral product diol which has two hydroxide groups in trans position.